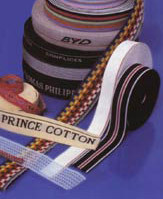 Our company Accad Ltd. is a manufacturing company specialized in Elastic Ribbon and Lace (woven and knitted). Used for the finest lingerie, underwear, swimming suits, boxershorts etc. Our stable experience of several decades allows us to proudly present our products in the Middle East, Europe and America. What encourages us is the satisfaction of our valuable clients in terms of quality and price. Accad's effort is to maintain a unique service, launch new global markets and seek for new reliable clients. Should you require any samples for trial, you can send us your specific model, and we will provide you with our counter sample that will ensure your complete satisfaction. The world is a big market... and we would like to collaborate with you in that market.